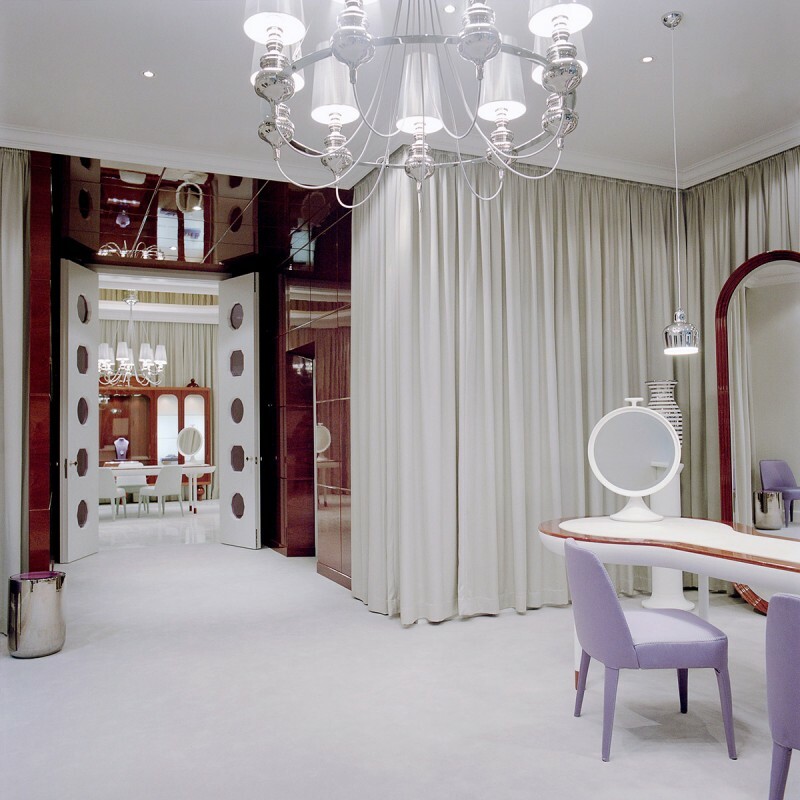 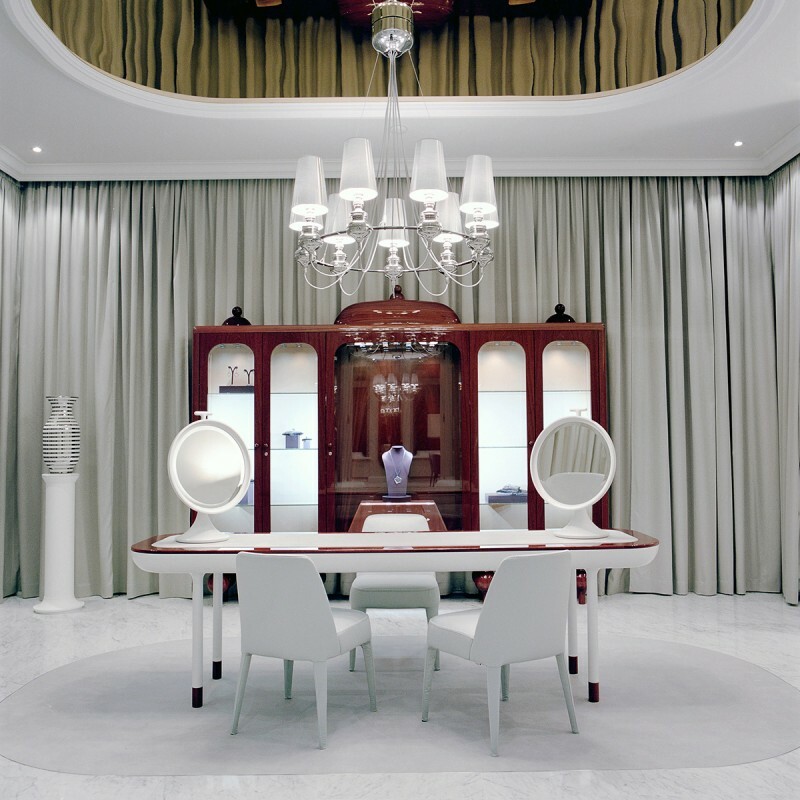 The interior of the Faberge boutique presents an innovative approach to the High Jewellery experience, with its expression of modern luxury through simplicity and sensuality. 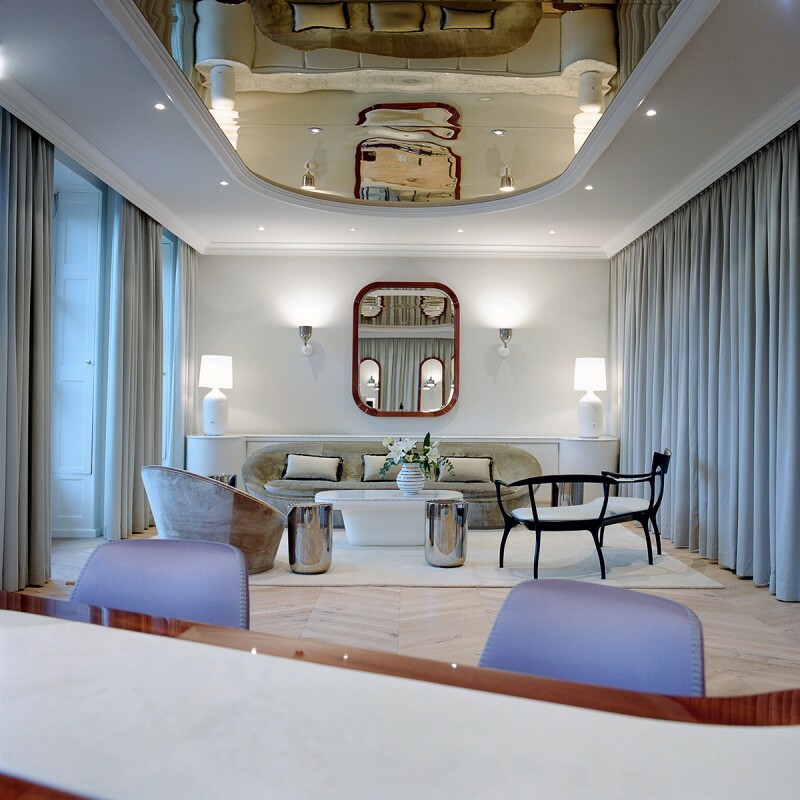 The concept and design focuses on superlative craftsmanship, sensually minimal shapes and forms, and exquisite materials, including silk wall drapes, rare woods and Carrara marble. 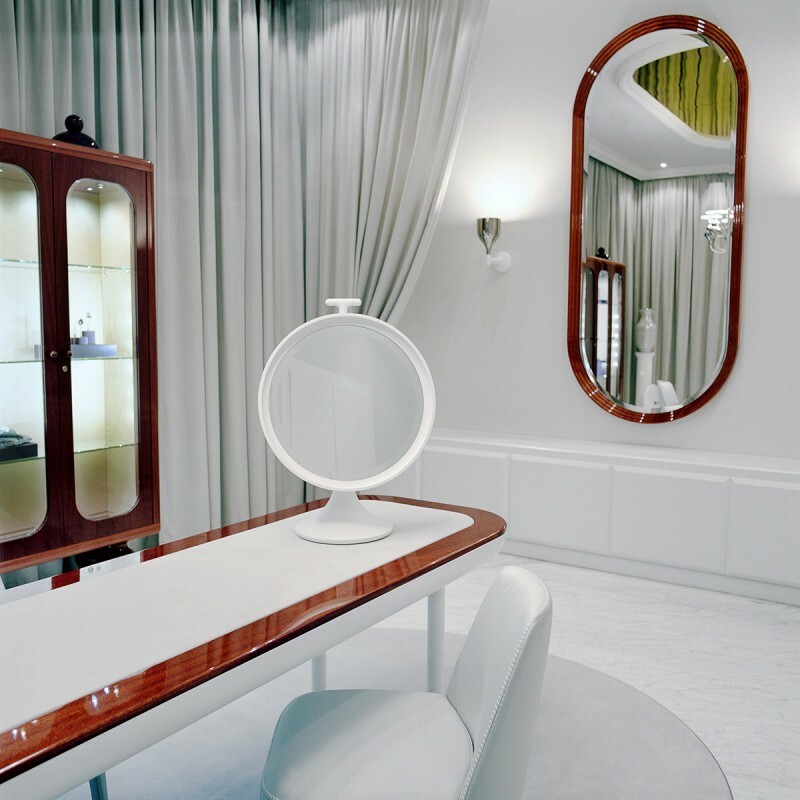 The materials used give the boutique an organic and dynamic feel balanced by a serenity that comes from the tonality of neutral, silvered metallic shades. 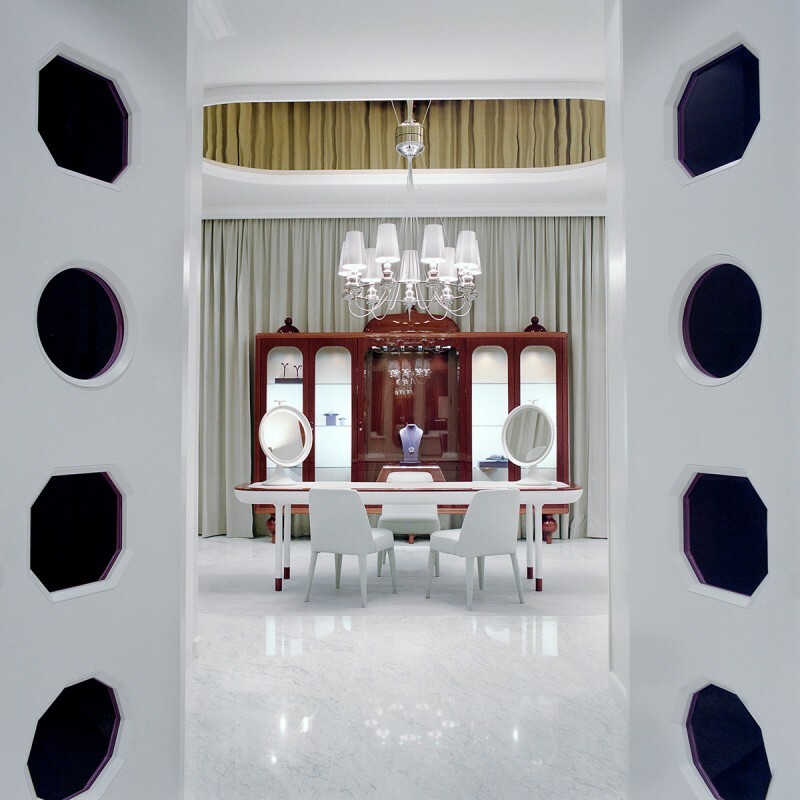 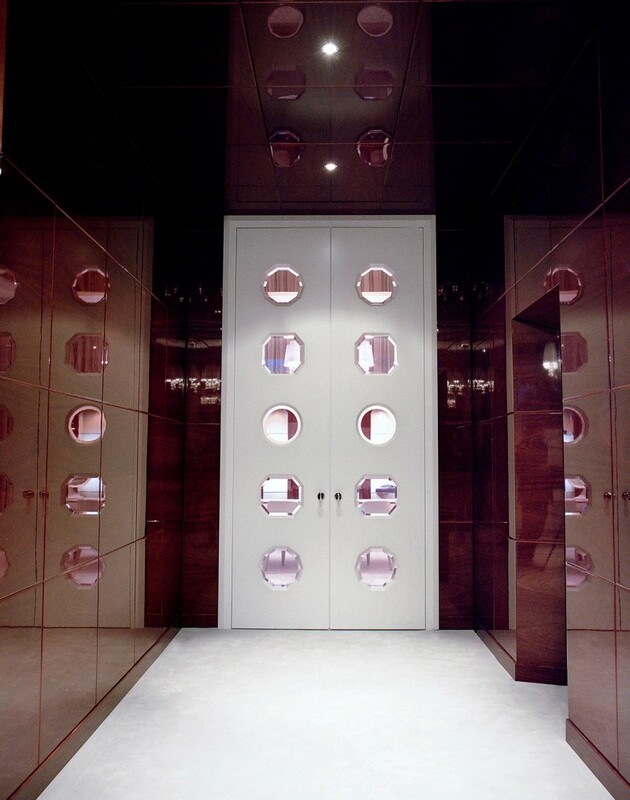 Light and luminosity that flood the boutique form the central theme of Hayons interior design. 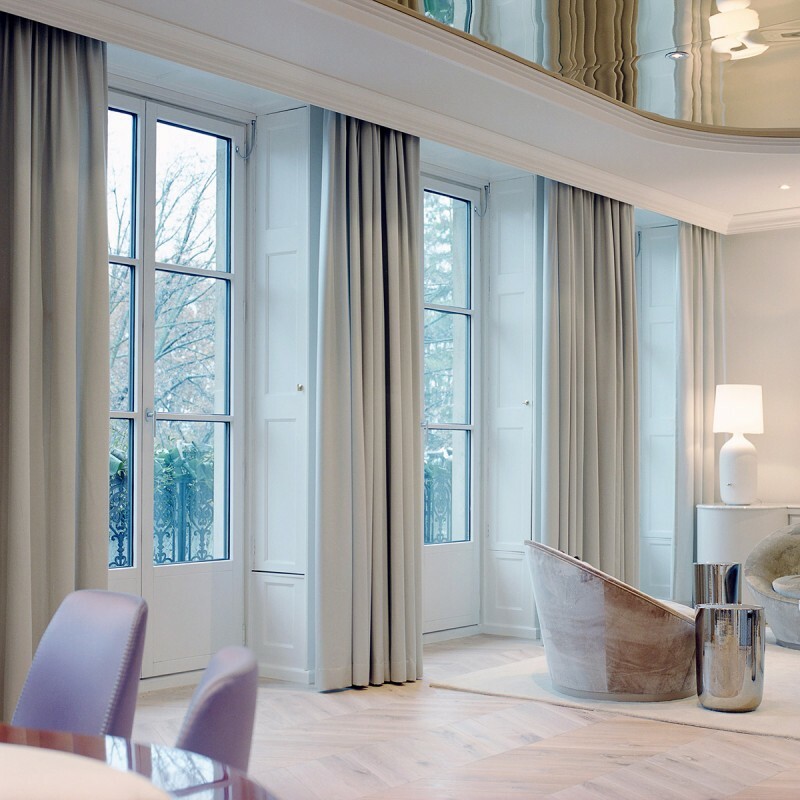 Simple open spaces are bathed in the reflections of mirrors and in outside light that drifts through the tinted glass of cut-out gem-shaped panels in tall interconnecting doors.